Take your embroidery to the next level with the Esante. This advanced sewing and embroidery machine includes a built-in design library, an LCD touch screen and a wide array of embroidery editing capabilities – plus a large embroidery field and speeds up to 800 stitches per minute. 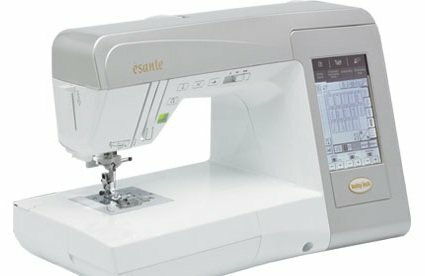 With USB connectivity and on-screen editing, the New Esante is the next step in sewing and embroidery technology. Youll get all off the convenience you’d expect from a Baby Lock machine with features such as a Quick-Set top-loading bobbin, an LCD Touch Screen and an advanced needle threader. Your Esante will stay current with future upgrades via USB connection.